HILLSBOROUGH, North Carolina (WTVD) -- A member of the Hillsborough Police Department is ready to retire. Eight-year-old K9 officer Viper has spent years sniffing out drugs and suspects, but a medical condition is now preventing him from being able to work and walk long distances. 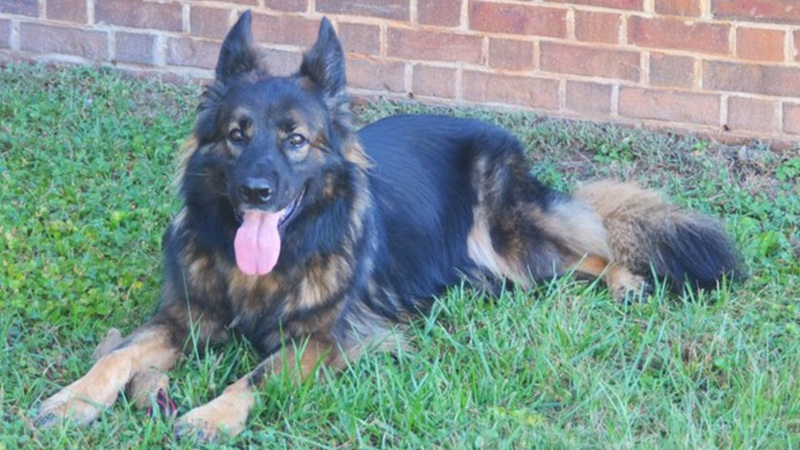 Since coming to the department in 2012, the German Shepherd has helped his handler find drugs in cars and buildings. Once he found a stash of guns that were buried under a pile of rubble. Hillsborough police also said Viper helped NC State Highway Patrol track down a man who ran away from a traffic stop in Orange County. In his retirement, Viper will continue to live with his handler, officer Mike Toellen and his family. Toellen said Viper has a strong bond with his son, Jaxon. "Viper turned his role from being with me to being with Jaxon," Toellen said. "Wherever Jaxon is, Viper is. They play in the yard. He sleeps on the trundle bed below Jaxon. It's priceless." Viper's name was chosen by elementary students in Orange County. The police department will recognize Viper for his 5 years of service on November 13 at the Hillsborough Board of Commissioners meeting.